Two teams of 32-players from USA and Europe will take part in head-to-head battle on Battlefield 4 Second Assault next month in this intercontinental challenge. DICE's new game from the Battlefield series, Battlefield 4, is due for release on Xbox 360, PlayStation 3 and PC on October 29. The open beta went live yesterday for all gamers worldwide and according to EA's official press release, "Players will experiecne the next level of all-out warfare with a new design concept called Levolution. This concept can alter the gameplay combat anytime during a multiplayer match as the environment reacts to the player's every move." The Europe vs. USA battle will take place on Second Assault, one of five expansion packs included in Battlefield 4 Premium which will be released first one Xbox One mid November. Xbox Live's Major Nelson and AceyBongos will lead both teams to warfare and one lucky gamer in the USA could be in for a change of playing on Major Nelson's team by entering the "Play and Win" sweepstakes. 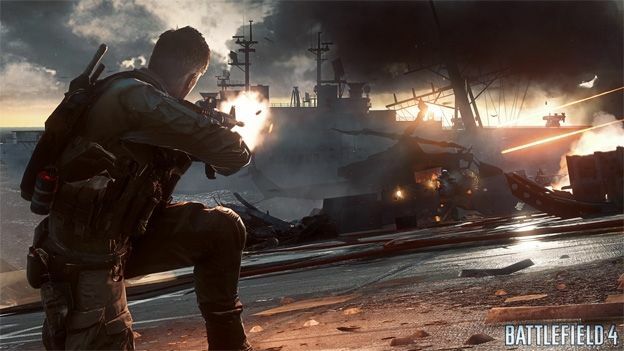 Check out T3's Battlefield 4 preview here. Watch the Battlefield 4: Beta Overview video below.